Announcement Thank you for stopping by to look at my collection of earrings, bracelets and accessories! Feel free to contact me if you have any questions. I would love to hear from you! Have camera - will travel! 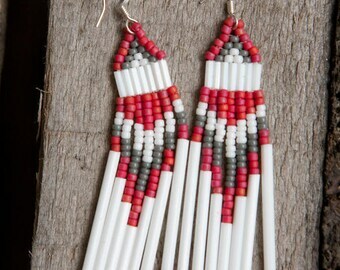 Thank you for stopping by to look at my collection of earrings, bracelets and accessories! Feel free to contact me if you have any questions. I would love to hear from you! Neon pink and white yoga tank top - burnout fabric - lotus flower - "the grass is always greener where you water it"
Yellow yoga t-shirt - burnout fabric - lotus - "the grass is always greener where you water it"
Super nice and great customer service! Welcome to heidiroland - daring earrings! I invite you to view the selection of earrings. If you are interested in purchasing a pair not listed on this site, don't despair! Please email me and I will do my best to make them available for you. All items are shipped using USPS first class mail.